If you see our car, tag us in a photo on IG for some free swag. It’s simple. KulKote is a coating that can be applied to fabrics and foams to help regulate temperature. It’s breathable, nontoxic, and environmentally friendly. It feels cool to the touch and keeps the temperature more consistent than regular fabric or foam. You sleep, right? And sit on a couch or chair? And wear clothes? That means that a KulKote Certified product is for you! 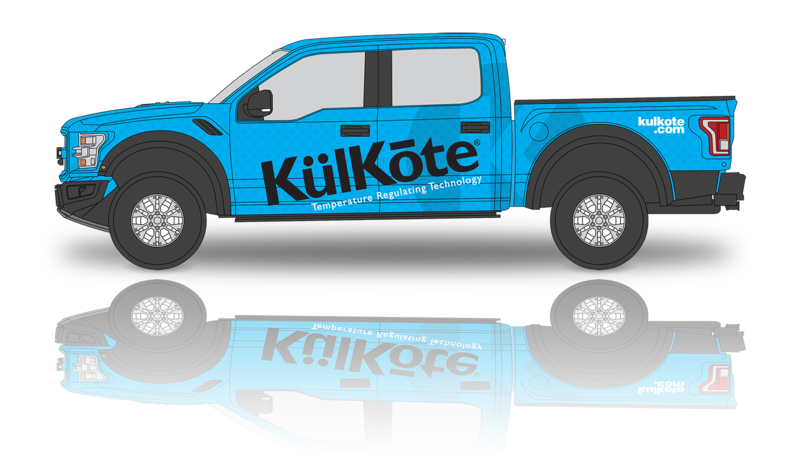 Why use a product with KulKote? Think about it this way... Do you ever feel hot and sweaty or cold and uncomfortable at any point in your day? Well, a KulKote Certified product can help you manage that. KulKote manages heat energy. It’s not a wicking material but a coating that manages temperature before moisture (ahem, sweat!) begins. It absorbs any excess heat energy, stores it, and then releases it back when it’s needed.